Welcome to my stop for The Daring Exploits of a Runaway Heiress by Victoria Alexander, the new release in her Millworth Manor historic romance series. 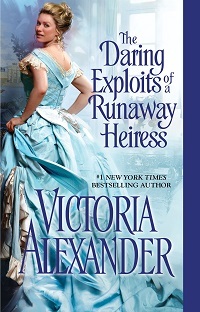 Please read on for my review and an excerpt, check out the other tour stops to see what others thought, and don’t forget to enter the tour-wide giveaway where you could be one of three winners to receive a paperback copy of The Daring Exploits of a Runaway Heiress by Victoria Alexander. The fifth in the Millworth Manor series, The Daring Exploits of a Runaway Heiress focuses on Lucy and Cameron. 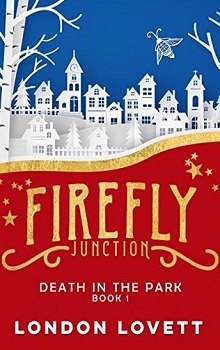 You aren’t missing great swathes of information that help in understanding this story if you haven’t read earlier titles in the series: I’ve read only book 3 in the series, and didn’t find questions. Lucy is an adventuress – addicted to the ‘rush’ of the adventure and the potential for consequences. Unfortunately, consequences rarely appear, and she is dashing from one adventure to another without any real reason, enjoyment or, as the antics progress, believability. Armed with a recently deceased great aunt’s ‘bucket list’, Lucy’s decision is to follow through and do everything. I wanted to like Lucy, I hoped for her to grow and show some real promise, but she remained rather flat and uninspired for me. Sadly, the repeated inclusions telling me how wonderful, smart, daring and intelligent Lucy was were the most memorable parts of her development. She just didn’t click at all with me, and while she never hit that great wall of annoyance, I had lost hope for change from her before the halfway mark of the book. On the other hand, Cameron was so completely wrong in every aspect: deceptive, unable to communicate, self-serving and well, he just doesn’t seem to have a solid moral bone in his body. There aren’t many positive aspects to him, but he was SO wrong in just about every area that it was almost laughable. He was simply, for me, a plotting device to contrast with Lucy and give her someone else to play with besides Clara. It wasn’t a horrible book, it could have been shortened by removing some of the adventures and the story may have benefitted from it. But, it is a telenovela style romance: dramatic, with overacting in parts and obvious villains before the expected romance comes to light for the hero and heroine. A perfect passive escape read that will not overwhelm when you need something to relax with, Alexander has the ability to craft dialogue that is clever and well-paced in a lighter romance.